Share Pigs On The Wing - A tribute to Pink Floyd Tribute's EPK! 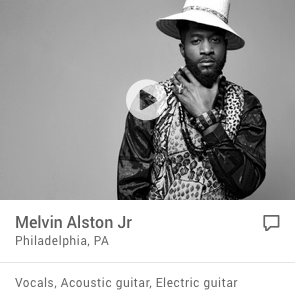 The words "tribute" and "cover" strike fear and loathing into the hearts of musicians everywhere. But what if a band discovers that the one or two covers they perform of the Rolling Stones, or the Beatles or, in the case of Pigs on the Wing, Pink Floyd, cause a little excitement and garner them some positive feedback from fans? Is it really so wrong of them to parlay that into a full show? The members of the Portland-based band, Oxcart don't think so. I asked guitarist/vocalist Jason Baker why Oxcart would choose to do Pink Floyd covers instead of original tunes. "Well, not instead exactly," he said. "We're doing both now, but the Floyd thing ... it's a lot of work to learn the material, we've added a couple of members, so that's mostly what we're doing now. But Oxcart is still around. We play shows here and there. Sometimes we even open for ourselves. It's cool," he said. In response to my outburst of laughter, he added, "Weird, but cool. The Floyd thing has been a lot of fun and we've seen a larger audience draw than with the original stuff. Plus, it's good exposure for Oxcart. We started with Dark Side of the Moon. We did that as Oxcart thinking it would be a one-time thing. We do a lot of The Wall, some from Animals, some from Wish You Were Here, some really early Floyd," Baker said. "We can do a couple of long sets. We were up in Moscow recently at John's Alley and did a couple of long sets there. This time in Boise, we'll be sharing the bill with Farmdog, so we'll probably just do one long set." Are their Portland fans responding well to the change? "We don't want to burn it out by playing [as Pigs on the Wing] over and over in Portland or in any one place. We're still trying to get into bigger markets, but in Portland, it's gone really, really well ... everywhere we've played, it's gone over well. We've gone from being one of literally thousands of rock bands in Portland to something people are interested in." August 4, with Farmdog performing a Grateful Dead tribute set, 8 p.m., $5. The Bouquet, 1010 W. Main St., 208-345-6605. • GRATEFUL FLOYD: Unless musicians playing Pink Floyd covers know exactly what they're doing, it's easy for listeners to go from comfortably numb to uncomfortably bummed. "Don't I know it, man," laughs Jason Baker, guitarist-vocalist for Portland band Pigs on the Wing. His tribute act — which grew out of an all-Floyd concert by Baker's space-rock band, Oxcart — will perform Saturday, Aug. 4, at The Bouquet (9 p.m., $6 ). It's part of a "Grateful-Floyd" show. Boise band Farmdog will rock nothing but Grateful Dead tunes to open. Pigs on the Wing will perform afterward. "You're a rock critic!" Baker responds. "But the thing is, I pretty much share (that feeling) with you. It's funny to me to even be talking to you about a tribute band. Except here we are. And I'm really enjoying it." "I don't take it too seriously," Baker says. "It's a good rock show, you know? I really think it is. I would appreciate seeing it, and almost everyone who has come out has had good things to say." 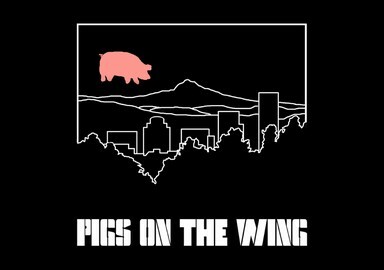 Pigs on the Wing: A high-energy Portland-based Pink Floyd tribute band, whose goal is simply to share the experience of their favorite music with fellow fans in an intimate rock show environment. 9 p.m. Sat, Fez Ballroom, 316 S.W. 11th. Ave.; $7; www.brownpapertickets.com. Pink Floyd is one of the most legendary bands in rock and roll history. From its immensely successful album “The Dark Side of the Moon” to songs like “Wish You Were Here,” and “Comfortably Numb,” Pink Floyd has made its name in music with a dreamy, mysterious sound, and the live performances being both chilling and euphorically ambient. The mystery and prestige of one of music’s most original and influential bands that once brought fans in droves to witness live concert experiences can now be witnessed once again without even buying tickets for the next Live Aid event. Hailing from Portland, Ore., Pigs on the Wing, a Pink Floyd tribute band, covers Floyd’s classic tracks while maintaining its integrity and creativity. Members Jason Baker (guitar/vocals), Ben Carey (bass guitar/vocals), Matt Jones (keyboards/vocals), and Jason Rieve (drums/vocals) present a lineup similar to the original Pink Floyd formula, while incorporating their own jams and interpretations of the famous rock foursome. While some music fans may doubt the ability of a group of guys from the Northwest to hold their own against the pure perfection and rock majesty of Pink Floyd, others will be pleasantly surprised at the Floyd-like brilliance of Pigs on the Wing. Live audio recordings of Floyd classics “Breathe” and “Time” as well as video recordings of “Money” and “Time” can be streamed from both the band’s Website (www.pig-wing.com) and Myspace page (www.myspace.com/pigwingmusic). The band’s live recordings impress even though the vocals of POTW lack the dreaminess and purity of David Gilmore and company. The band’s stage presence and retro groove, however, make Pigs on the Wing a worthwhile experience for any Pink Floyd fan. As for the instrumental side of POTW, the structure of the band proves to be capable of reproducing some of progressive rock’s most famous songs. Lone guitarist Jason Baker fills out the guitar sound in a way that is both unique and faithful to the rock idols, a daunting task for even the most skilled of musicians, while Carey, Jones and Rieve carry the flow of their esteem for rhythmic surges in tempo and movement. Tribute bands of this quality are few and far between, so fans should be sure to mark their calendars for this event. Pigs on the Wing will be performing with Grateful Dead tribute band Farmdog on August 4 at The Bouquet, located on 1010 Main St. in Boise. ABOUT PIGS ON THE WING: In many ways, the story behind Pigs on the Wing is an unlikely one. Tracing its roots to a one-off performance in a now defunct Portland, Oregon venue in 2006, the original intentions behind the band never reached beyond a single performance. However, the ensuing 11 years have found Pigs on the Wing's regional fanbase growing exponentially alongside the band themselves as musicians and the scale of the show as an immersive audio-visual experience. Pigs on the Wing has steadily developed a reputation for delivering a high quality, high energy take on Pink Floyd's music steeped in the NW's own rich musical heritage. All of the members of the band are seasoned veterans of the NW's original rock scene and balance a decidedly un-tribute like attitude towards the music with a deep understanding of the precision and importance of Pink Floyd in many fans' lives. The result is a sound and experience both refreshing in delivery and yet true to the original – something the band believes sets it apart from other Pink Floyd tributes. Pigs on the Wing has in recent years featured full album performances of Dark Side of the Moon; The Wall; Wish You Were Here, and Animals – and regularly performs music from all eras of Pink Floyd's career. 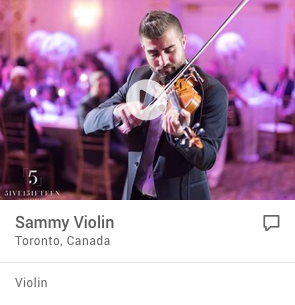 The band has appeared at numerous festivals and events as well as the circuit of theaters, performing arts centers, and music venues throughout the Western United States. 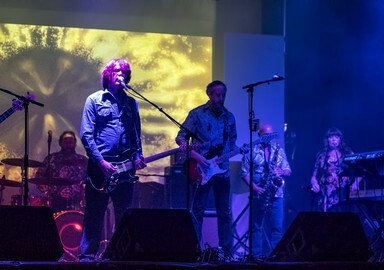 In December 2017, Pigs on the Wing released NW: Live, an album of live recordings from their 2016-17 tour showcasing the band's unique approach and high energy take on Pink Floyd. The band's 2018-2019 tour featured a chronological exploration of Pink Floyd's early material followed by a full performance of the Dark Side of the Moon album. DVD 2006 : live performance of Dark Side of the Moon, Portland, OR. In many ways, the story behind Pigs on the Wing is an unlikely one. Tracing its roots to a one-off performance in a now defunct Portland, Oregon venue in 2006, the original intentions behind the band never reached beyond a single performance. 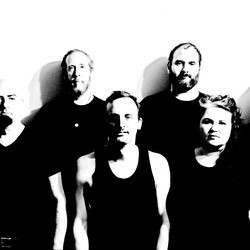 However, the ensuing 11 years have found Pigs on the Wing's regional fanbase growing exponentially alongside the band themselves as musicians and the scale of the show as an immersive audio-visual experience. Pigs on the Wing has steadily developed a reputation for delivering a high quality, high energy take on Pink Floyd's music steeped in the NW's own rich musical heritage. All of the members of the band are seasoned veterans of the NW's original rock scene and balance a decidedly un-tribute like attitude towards the music with a deep understanding of the precision and importance of Pink Floyd in many fans' lives. The result is a sound and experience both refreshing in delivery and yet true to the original – something the band believes sets it apart from other Pink Floyd tributes.